The daily t-shirt deal shows a unique design every day, costs $10, and then goes away forever, unless the author lists it elsewhere. At the time of this writing, about 12 hours are still left, so hurry before it disappears. 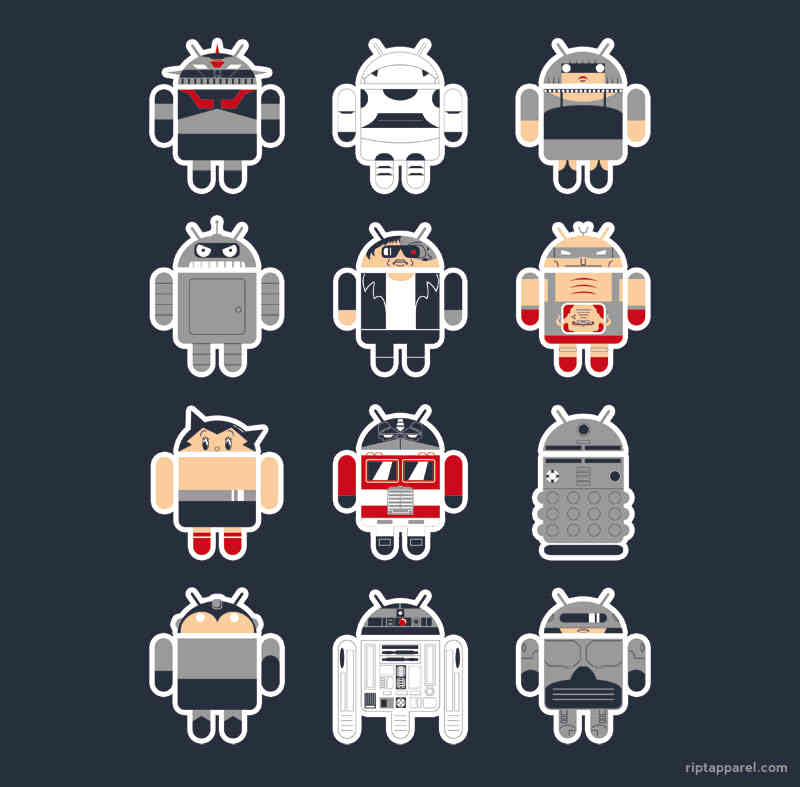 Robocop, Krang from TMNT, R2-D2, Terminator, Storm Trooper, Optimus Prime, Megaman, and is that the evil Bender? Who can name them all?